When Check in-out entry is linked to inventory item quantity, Movie Xpress will recalculate the inventory quantity every-time check in-out transaction is created. It calculates the current inventory balance based on all the check in-out transactions and automatically updates the quantity number for the inventory item. 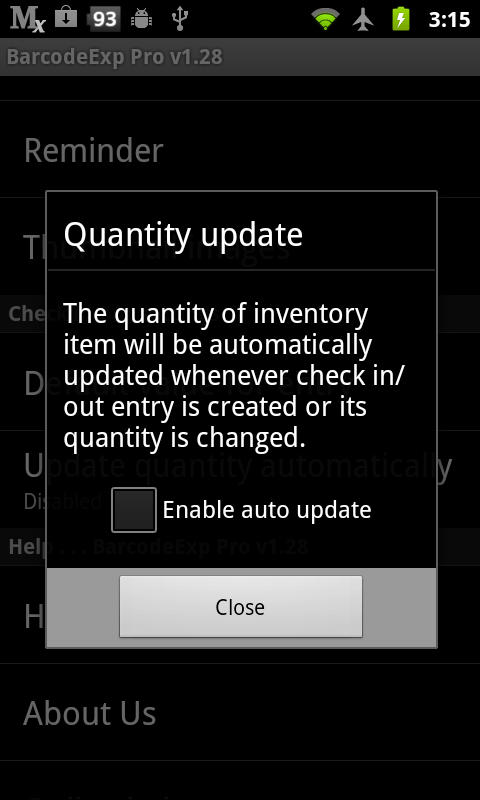 Since all this calculation and update happen automatically, user shouldn't touch the quantity number directly. The increase/decrease inventory quantity should be done with check-in/ check-out transactions instead of number change in quantity field. If user wants to increase the inventory balance, one will create check-in transaction with necessary amount. Let's see more detail with some examples. the inventory quantity will be changed as follows. I have 100 apples in my garage. This transaction based calculation is typical behavior of most inventory management system and allows users keep track of all inventory movements. If the "Update quantity automatically" option is disabled, Check in & out module will work independently and never affect inventory quantity field.